The information should be entered into the ‘Additional Information’ field within the Staff Request form in People+ (please note the character limit for this section is 2000). This requirement applies to recruitment in all PSS and Academic Departments across the University. Please note that if you are not a work group (team) manager or a Recruiting Administrator or a Recruiting Approver then you can automatically log in to People+ Portal off-site and do not need to request access. If you are a work group (team) manager or a Recruiting Administrator or Recruiting Approver and wish to access People+ Portal off-site you need to request secure remote access. This is because your profile gives you access to both your data and that of others in your team. 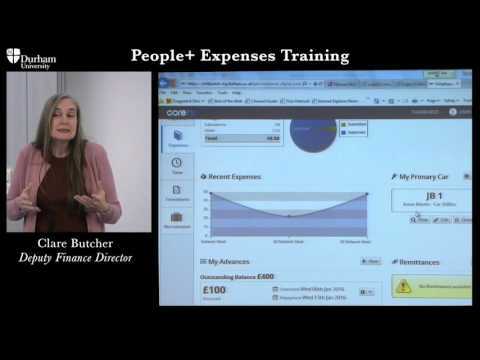 In this video Clare Butcher, Deputy Finance Director, explains how to use the online People+ Expenses system.